Kurushima Strait in Seto Inland Sea, was the territory of Murakami Suigun that was admired as the strongest pirates in Japan's history. 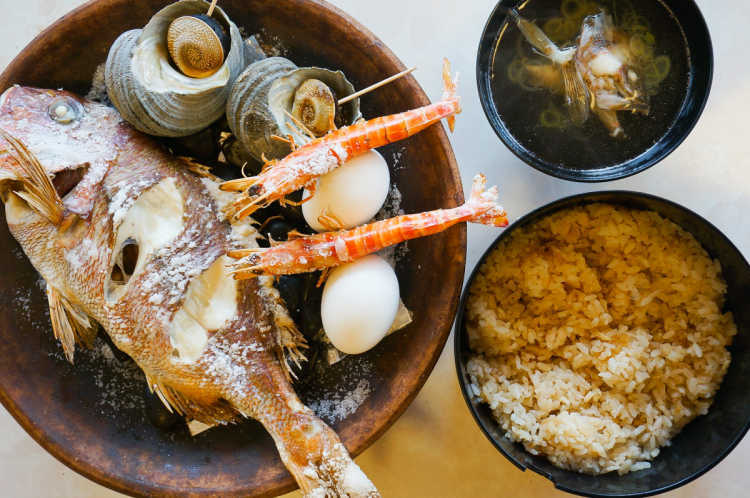 Horaku-yaki, which was said to be eaten at the party after their victory, contains a rich seafood grilled with salt, such as big sea bream, sazae (turban shells) and prawns. It's a dynamic local food excellent too much with alcohol drinks. I can get also the victory fortune! ?